It’s about time to put up that tree and deck the halls! 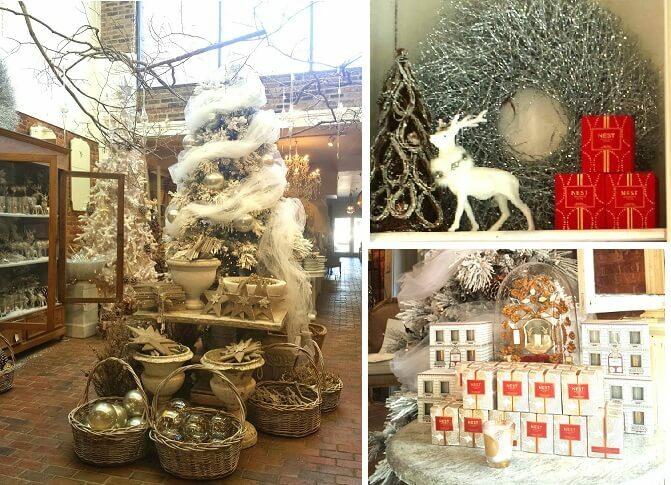 Fill your home with silver and white and inviting scents from The Iron Gate! Come see our beautiful new holiday items, restock on your favorite Nest Holiday candle, or try what’s sure to be a new favorite, Birchwood Pine! 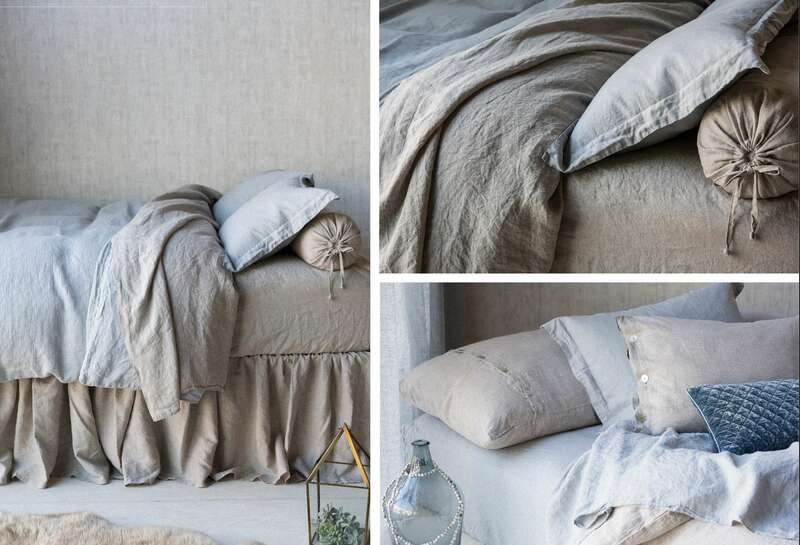 Harper is an oatmeal colored natural linen that is softly textured and brings a calm, inviting feel to the bedroom. Mineral, a seafoam blue, is a perfect base for a soothing look. 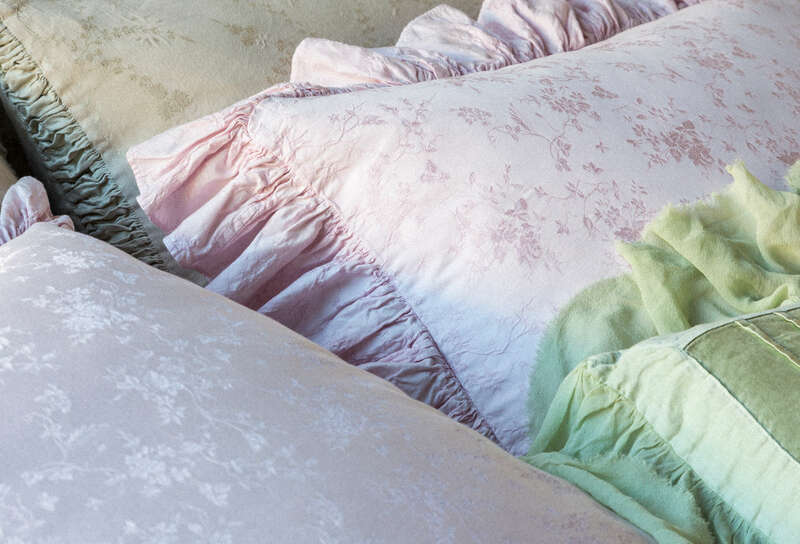 Above left: Harper Sheets, Dust Ruffle, and Bolster, Homespun Duvet in Mineral. Right top: Harper bolster and Euro Sham with Self Flange in Mineral, Harper Sheets, Homespun Queen Duvet Cover in Mineral. 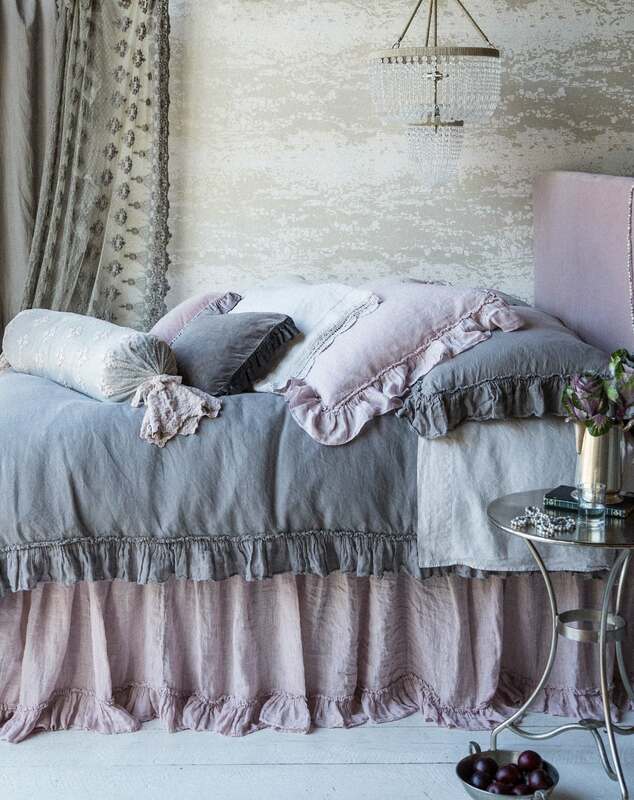 Right bottom: Harper Duvet Cover, Harper Deluxe Sham, Linen Sheets in Mineral, Harper Standard Sham, Homespun Euro Sham with Self Flange, Silk Velvet Quilted Kidney Pillow in Mineral, Linen Whisper Curtain in Mineral. A beautiful muted grey. It brings depth and elegance to any fabric. 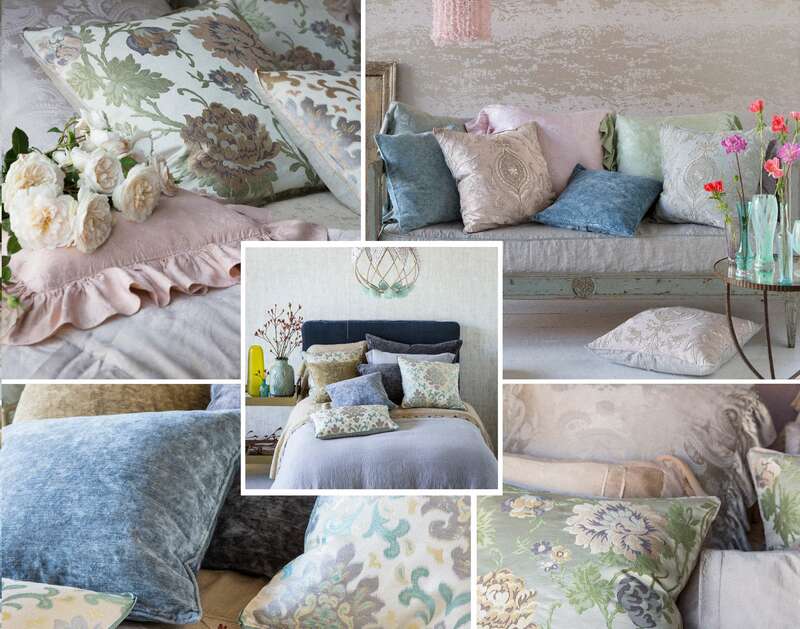 Bella’s new line of throw pillows are a beautiful way to add the perfect finishing touch. 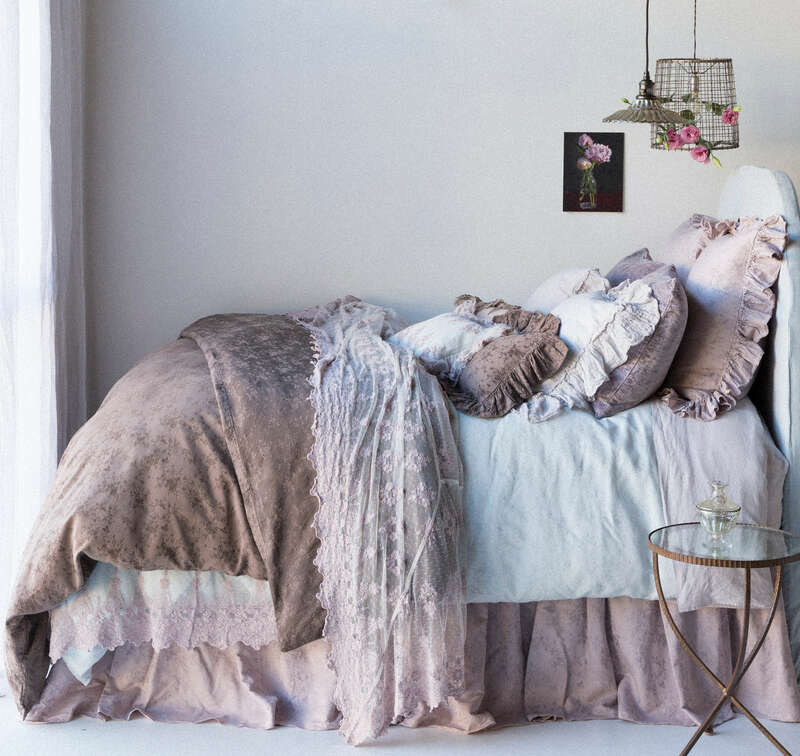 Rich textures and colors bring a delicate, feminine, and elegant depth to the bedroom. Top Left: Camille 22″x22″ square throw pillow in warm. Middle: Isla 22″x22″ throw pillows in cool and accent pillow in cool. Top Right: Nina 22″x22″ throw pillows in warm and cool. Bottom Left: Isla 22″x22″ throw pillows in cool. Bottom Right: Camille 22″x22″ throw pillow in warm. 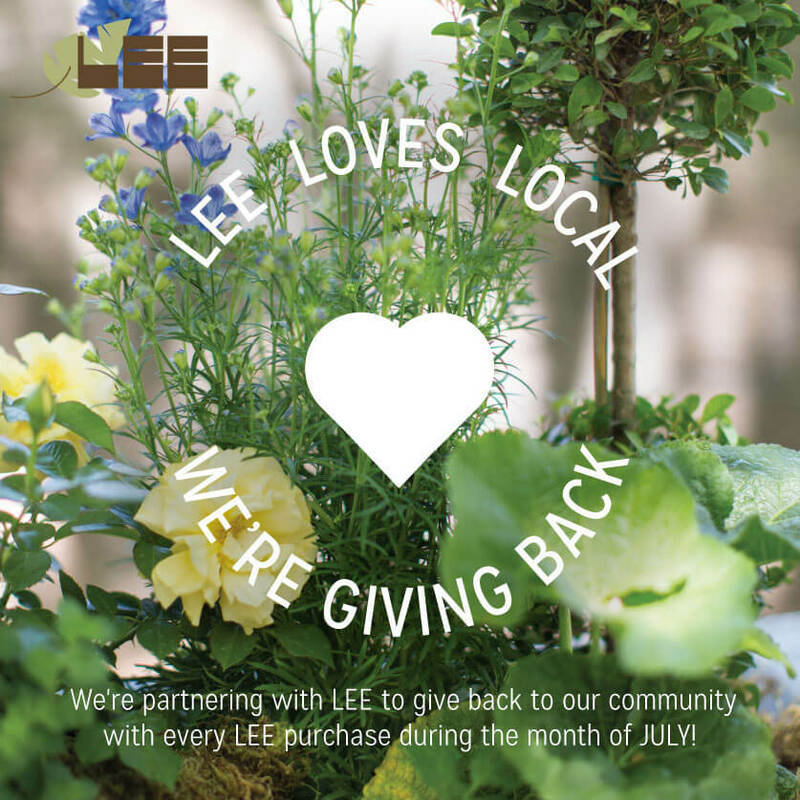 During the month of July, we will be supporting our favorite local charity, Happy Tales Humane by donating a portion of all LEE product purchases. 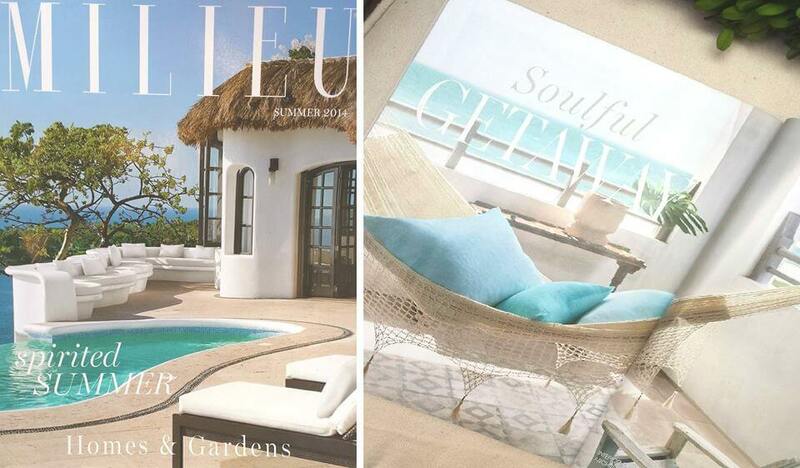 What a perfect time to purchase that beautiful LEE product you’ve had your eye on! 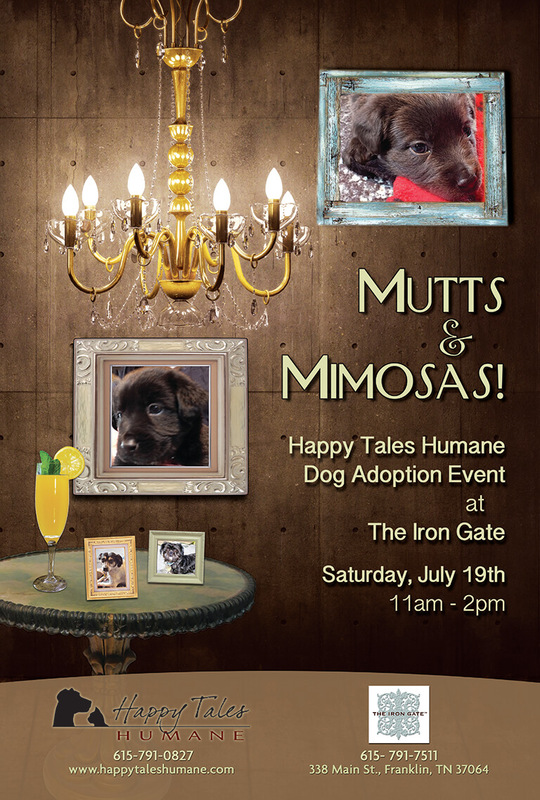 We will also be hosting a pet adoption event called MUTTS & MIMOSAS! Come join us for a chance to meet and adopt available dogs, shop for beautiful and unique home décor, and enjoy refreshing mimosas. This exciting event will take place on Saturday, July 19 from 11am – 2pm .Spend part of your Saturday with us, and who knows, you may take home your new best friend! Happy Tales Humane is a wonderful animal shelter providing humane no-kill options for homeless and neglected animals in Middle Tennessee. Visit their site to learn more about how you can donate, foster, or adopt a pet! 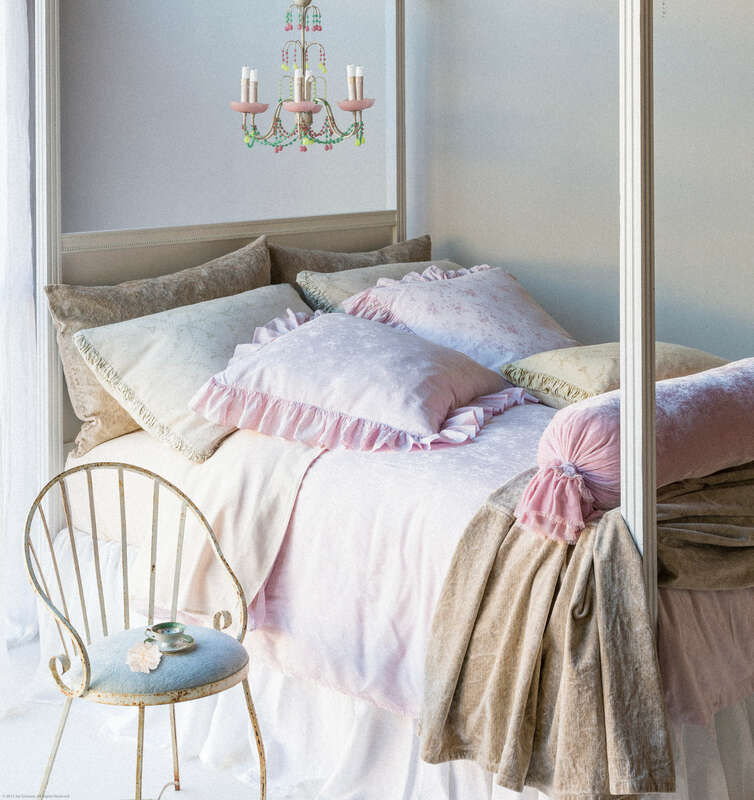 Some of the biggest reactions I see in our store come from customers as they first set eyes on one of our gorgeous beds, piled high with Bella Notte linens. “Oh! I want to just fall into it!” I’ve heard this time and time again. And truly, it is as tempting as icing on a cake. There is something so irresistible about the textures and colors. 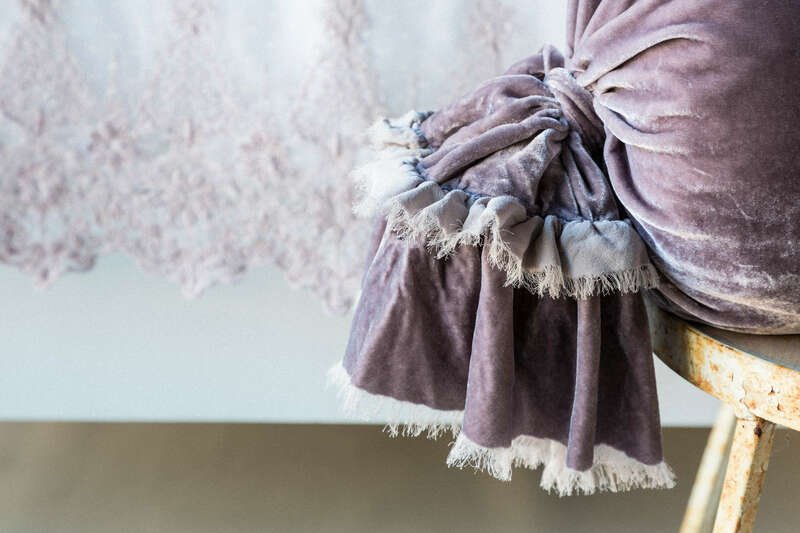 It is hard to ignore the allure of a Linen Whisper bed scarf draped lazily along the foot of a bed, the feminine touch of a bolster covered in lacy Olivia, or the perfectly frayed, floppy edge of a Loulah sham. It truly is a feast for the eyes, but more than just that, Bella Notte is at once approachable and inspirational; the world’s first easy care, garment dyed luxury linens. Still looking for that perfect gift for Mom? Check out some of these items! 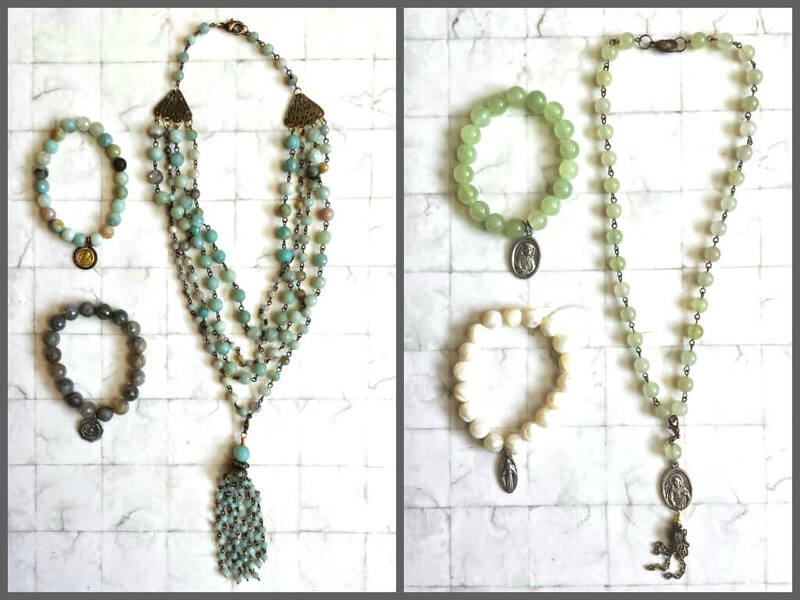 These handmade necklaces of amazonite and serpentine are stunning beauties. 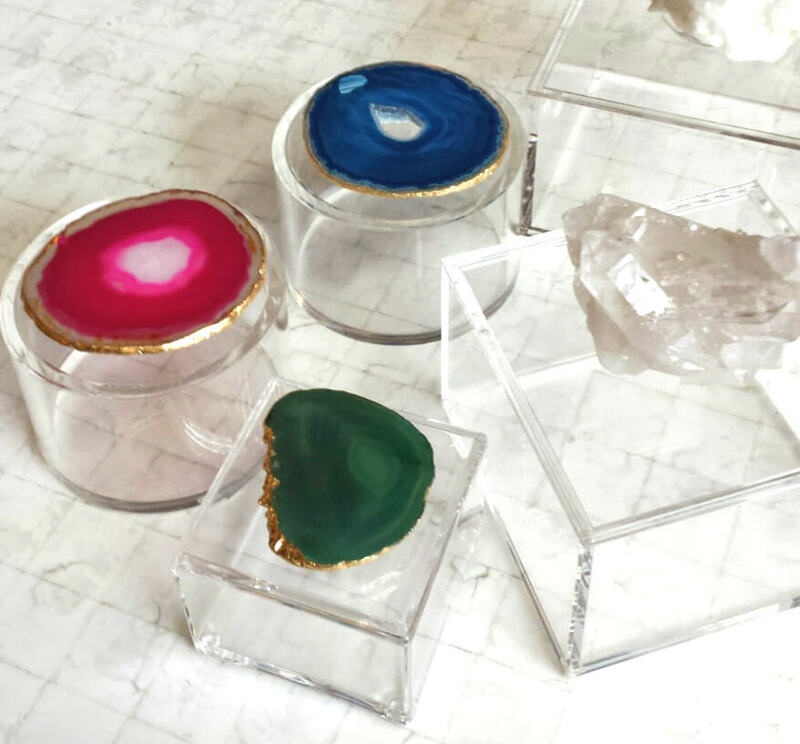 Sleek acrylic boxes topped with handles of agate and quartz. For the gardener: Vintage silverware herb markers. The perfect edition to her herb garden! 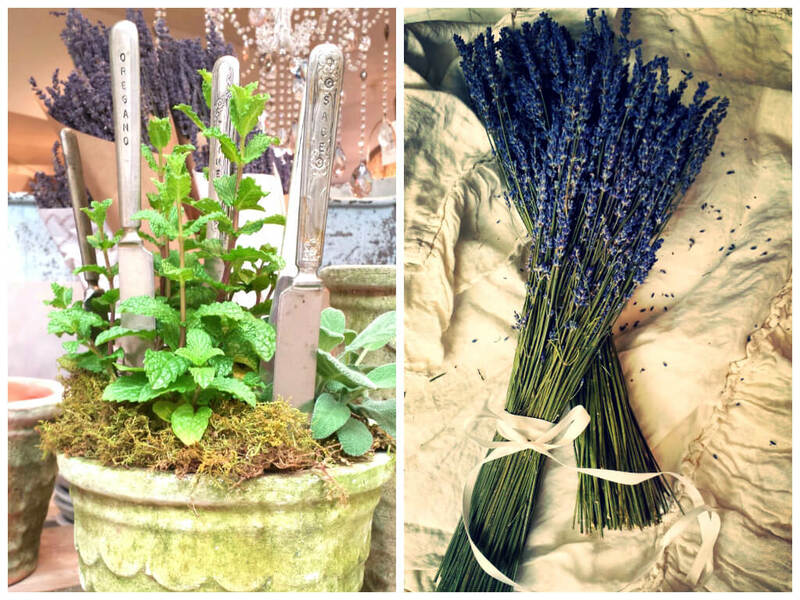 Bundles of lavender add a luxurious touch of fragrance. 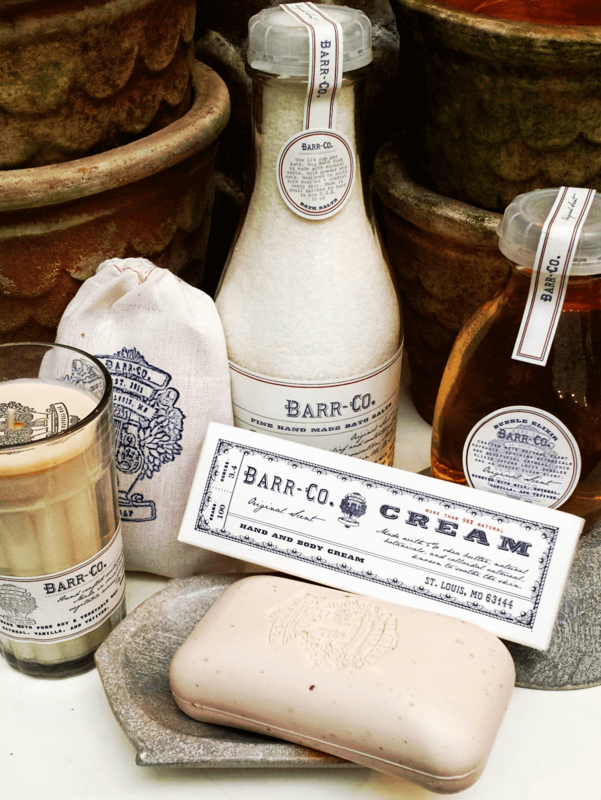 Barr Co, one of our wonderful lines of bath products.